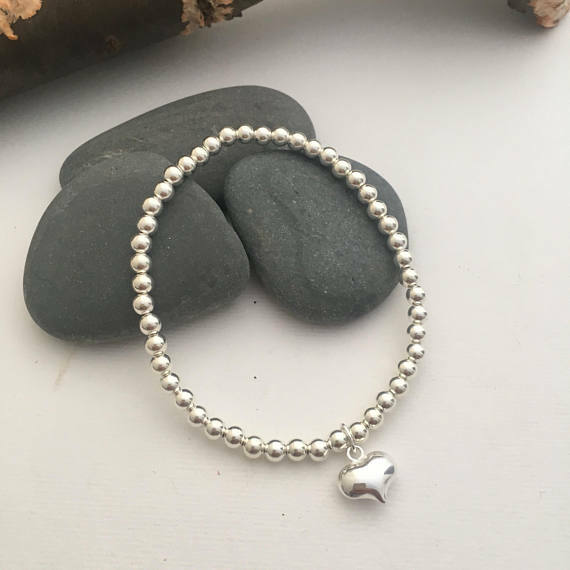 Sterling silver beaded bracelet with Sterling silver puffy heart on stretchy elastic. 9mm silver puffy heartIf you’d prefer a wider or smaller bracelet please add a note at the cart. 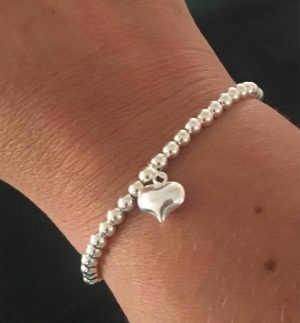 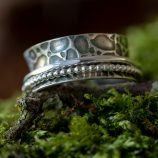 These bracelets are also available with a tree of life charm and a bird charm. 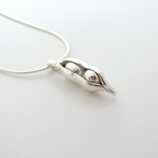 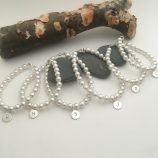 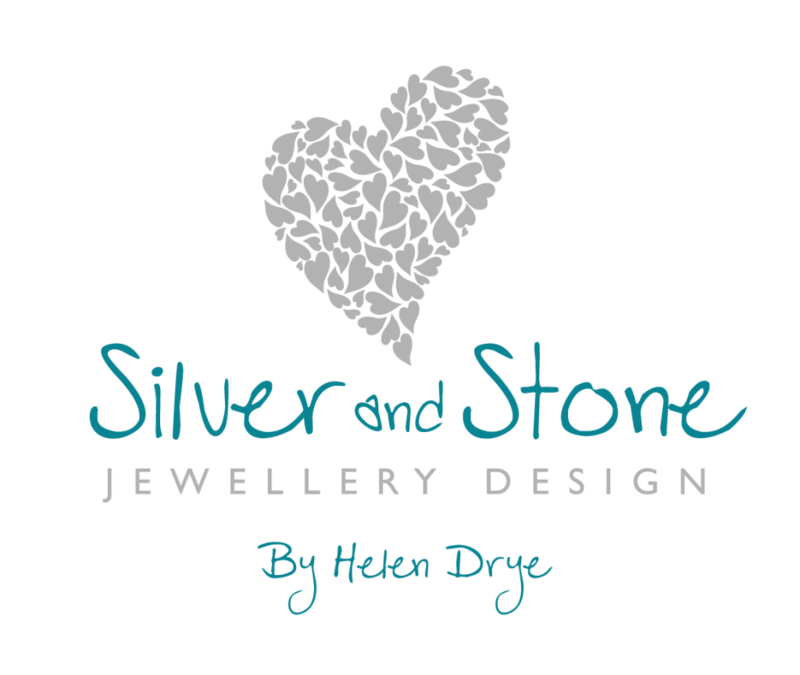 They can also have a personalised initial charm on them for an additional cost.